Ideal for all special occasions - Weddings, Dinner Parties, Corporate Events etc. 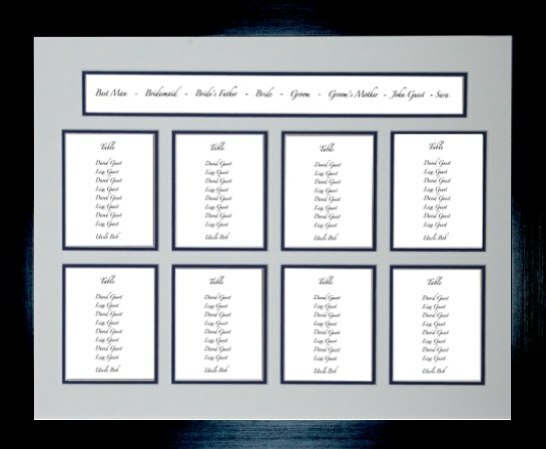 Choose a double mount and you can colour co-ordinate with the brides dress. We make all our table plans by hand. You can choose the number of tables and we then align them centrally for you. Of course if you have a specific layout in mind - please let us know in the notes when you check out.